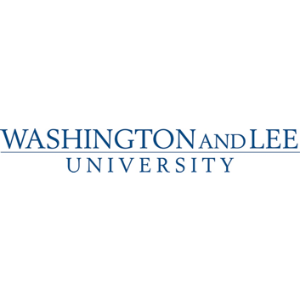 Six journalists with national credentials will offer insight on how to avoid ethical pitfalls while navigating the 21st-century media landscape at a panel discussion on the Washington and Lee University campus. The discussion will take place Nov. 9. at 5:30 p.m. in Stackhouse Theater. The theme of the discussion, which is free and open to the public, is “Keeping Our House in Order: Being Ethical While Under Attack.” It is part of a two-day Journalism Ethics Institute sponsored by the Washington and Lee University Department of Journalism and Mass Communications and James S. and John L. Knight Foundation. The hour-long program on Friday night will feature both a robust panel discussion from the experts and questions from the audience. The hour-long program on Friday night will feature both a robust panel discussion from the experts and questions from the audience. The line-up includes Carol Marin, NBC Chicago political editor and former CBS 60 Minutes correspondent; USA Today Regional Editor Manny Garcia; Kirk Varner, WSPA-TV news director and founding news director of ESPN;NPR Morning Edition Senior Supervising Editor/Producer Alicia Montgomery; Joie Chen, Medill Washington director and former CNN and CBS correspondent; and Richmond Times-Dispatch reporter Chris Suarez, who covered the August 2017 events in Charlottesville for the Pulitzer Prize-winning Daily Progress. Marin will moderate the discussion. The journalists will also spend time with W&L journalism majors who are taking a required course in ethics. Earlier on Friday and on Saturday morning, each journalist will present a real-life case study of an ethical challenge to the students, who will determine how best to handle it. The institute is led this fall by W&L Assistant Professor Kevin Finch, a veteran TV news director and documentary filmmaker.